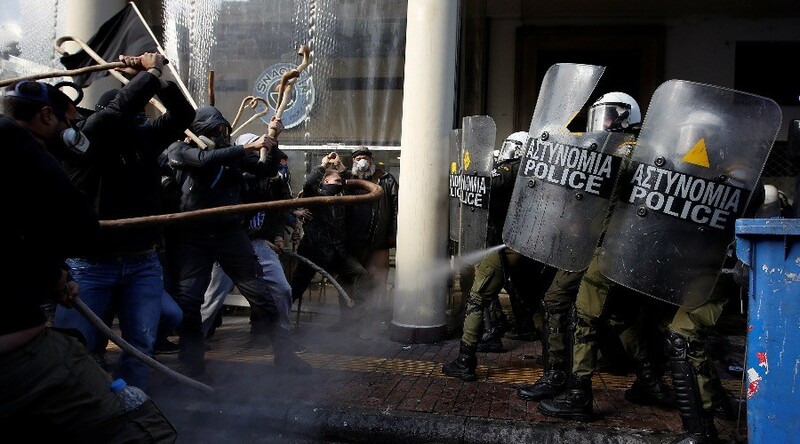 Greek riot police fired tear gas at farmers protesting tax and pension reforms in Athens, to prevent a crowd of over 1,000 from forcing its way into the agriculture ministry. Protesters responded by throwing stones and smashing windows. Around 1,500 farmers arrived at the capital from the island of Crete to protest the low prices they are forced to sell their produce at, high production costs, and increases in taxes and social security contributions, the Greek Reporter said. “The state is taking 75 percent of my income... we all need meds to endure this,” one man, Manolis Bobodakis, told Reuters. A 40-member delegation headed to the agriculture ministry in central Athens, where it was joined by other farmers seeking to meet Minister of Rural Development and Food Vangelis Apostolou. 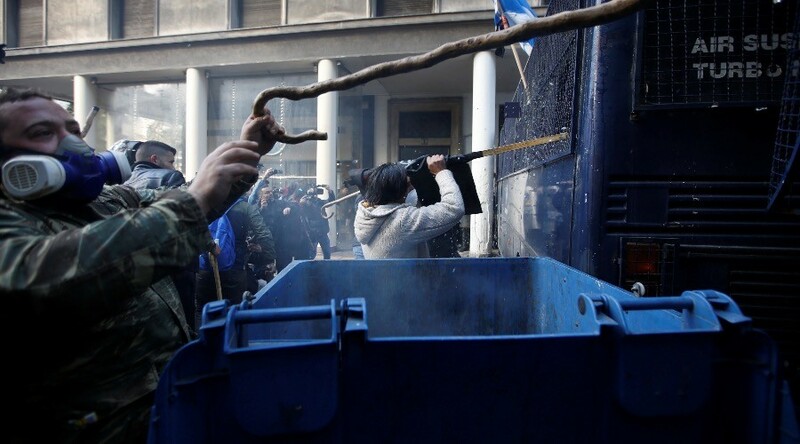 According to the Greek Reporter, the protesters became infuriated after police blocked the entrance to the building with police buses, telling the farmers that the officials were not available. A number of farmers charged the building and smashed the windows of two parked police buses. Police responded with tear gas, dispersing the crowds into the side streets, Reuters reported. 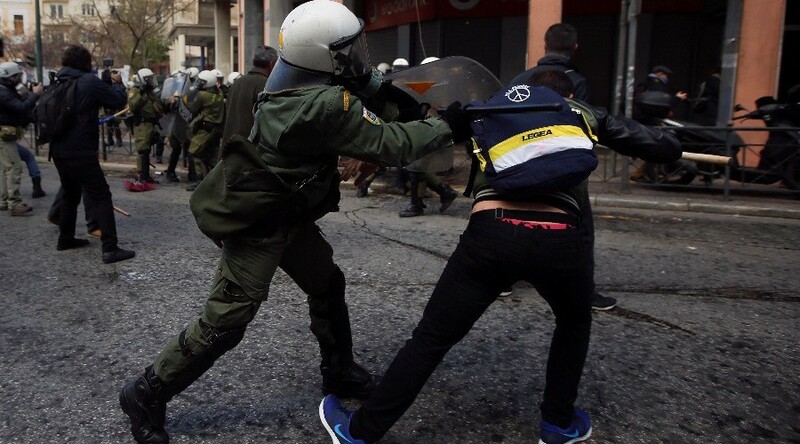 Two protesters were arrested, according to the Greek Reporter. The farmers have been engaged in a long-standing dispute with the left-led government over social security laws which force them to pay on imputed income upfront. Farmers have also been hit hard by higher pension contributions and enhanced production costs, triggered by the removal of tax breaks on key items like fuel and fertilizer. “It's killing us,” said Panagiotis Koutsomikos, a beekeeper, told Reuters. Athens had to raise taxes to meet the demands of the austerity reforms package put forward by Greece’s creditors. Last month, a group of Greek farmers disrupted traffic on a highway leading to Macedonia as they protested increased taxes and insurance fees. The protesters blocked the road with tractors for several hours and clashed with police. Athens is currently locked in bailout talks with the International Monetary Fund (IMF) and the EU for its crisis-battered economy, still awaiting the latest injection of bailout money, as the second bailout review has dragged on for months. 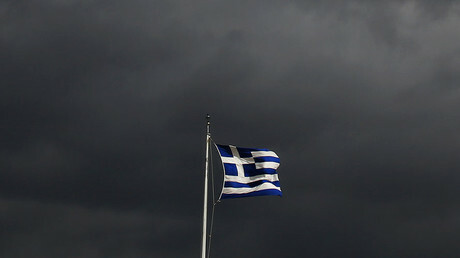 The country’s statistical service, Elstat, said on Monday that after two straight quarters of growth, Greece’s economy contracted from October to December, marking the worst quarterly performance since the height of the country’s debt crisis in the summer of 2015.